So, you bought a new Chromecast. Great. Even though you can use the Google Home app to setup Screensavers, Clock, and Guest mode etc on your Chromecast; you can’t install apps on it like you can on Fire TV Stick, Roku or Apple TV. There are, however, plenty of apps developed for Chromecast. Let’s check out best Chromecast apps for Android. Also Read: Chromecast v FireStick v Roku v Android TV v Apple TV: Which one to buy? 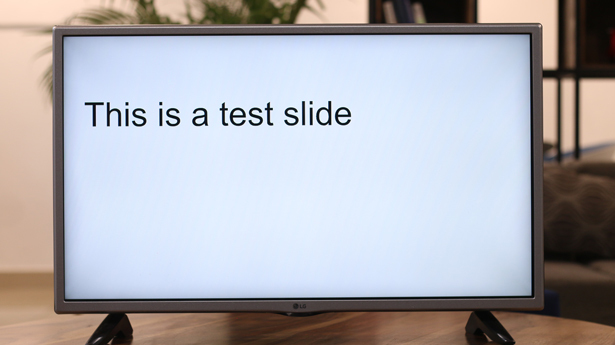 Google Slides helps you cast and control your Google Slides from your phone to your TV. It shows you the time on one slide which is important if you’ve allocated time to each slide. Google Slides would fare well if you want an emergency projection system for your presentation. 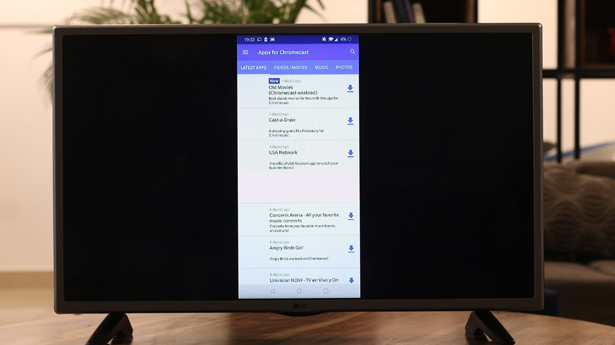 RSScast is another Chromecast app which offers a unique implementation of Google Cast. 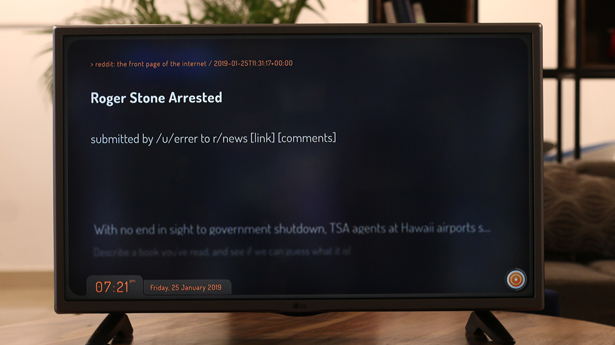 You can view your RSS feeds directly on your TV. Simply add all the feeds you’ve subscribed to and cast to your TV. The app also acts as a remote and you can swipe to view next or set it to change after a time interval. RSScast is free on the Play Store and doesn’t have any ads. 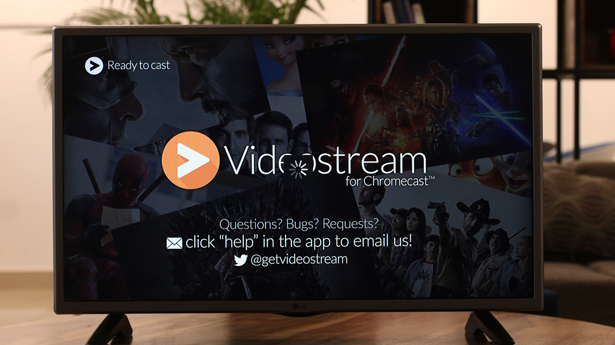 Next, in the list, Allcast lets you cast your content from your smartphone to TV seamlessly. It doesn’t require any account login or subscription, simply connect to your Chromecast and stream. You can cast images from the camera roll, audio from the system, videos, files and even twitch stream. 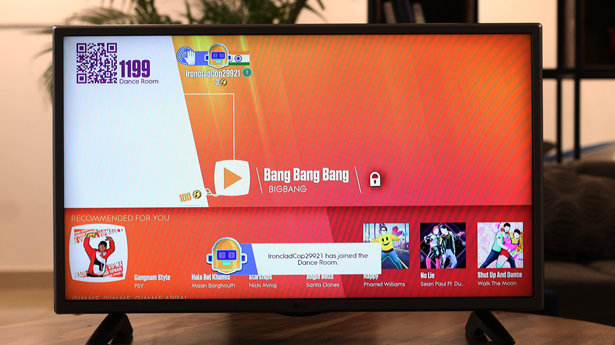 You can also access files from your Google + and Drive accounts to cast content to the TV. Allcast is free and ad-supported. Dead pixels on your TV could be annoying. While this Chromecast app won’t fix the dead pixels but would help you identify if it is actually a dead pixel or just a smudge on the screen. You simply install the app on your smartphone, connect to the Chromecast device and tap the test button. It has all the standard testing screens which cover every pixel on the TV screen. Dead pixel tester is free on the Play Store. Sure, you can just mirror the Google Maps app from your phone to the TV, but it doesn’t look clean. 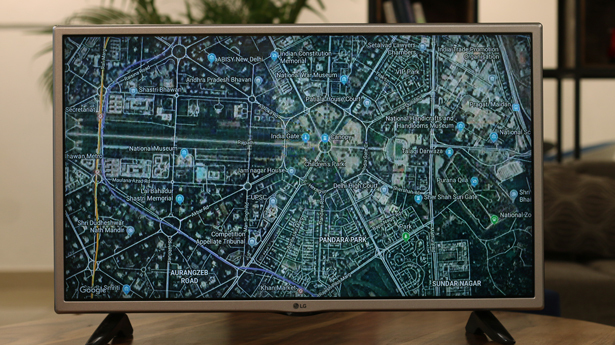 Maps on Chromecast uses Google Maps API and offers a cleaner UI. You can navigate and look for a place around the world and cast it directly to the TV. You can switch between Satellite, Hybrid, Road, and terrain map layout. The app is free on the play store and has ads. The default clock option on Chromecast is available in the Ambient settings on the Google Home app but you can only enable or disable it. 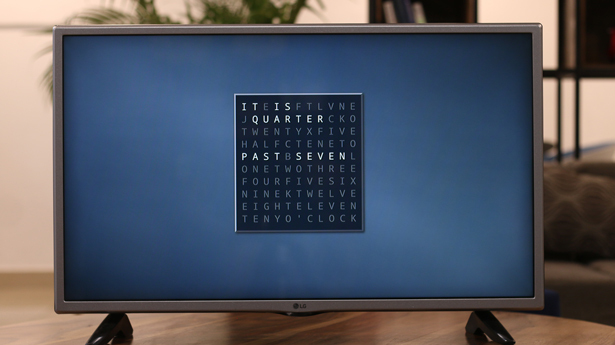 Clocks for Chromecast offers multiple clock layouts for your TV screen. Ranging from the classic wall clock to minimalistic word clock, there are 15 different clock layouts and 5 of them are free. This app is a great addition if you don’t want to see the screensavers on your TV and want a clock instead. You can get the pro version and unlock all the other clock styles and remove ads for around $5. Okay, This is only in this list because of my personal bias for 2048. I love 2048 and playing it before going to bed every night is my routine. Instead of using the phone I can simply cast the game to my Bedroom TV and play the game under the covers. It is different than the normal game because it plays in the landscape mode. 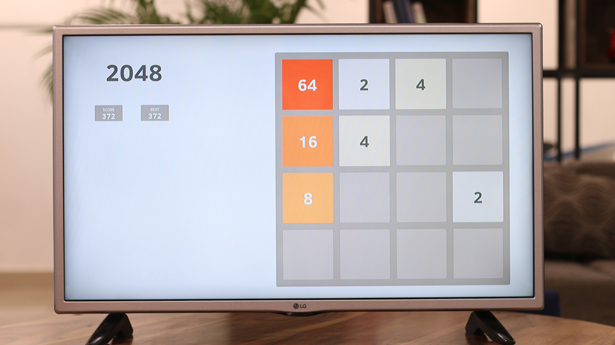 If you like 2048 then you would enjoy using it with Chromecast. This next Chromecast app is straight out prank app. It lets you cast a faintly scary face on the TV. It works like this, you can select an image from the app and cast it to your TV or wait for the victim to pass by the TV. You can also stream chainsaw, evil laugh, chain link and eerie sounds from the app. Best time to use this when your SO gets up for a glass of water in the middle of the night. The app works fine and you can get it for $0.49 from the Play Store. This next app is another great app which uses Google cast rather intuitively. ISS HD Live shows the International Space Station’s path in the app and you can stream the official live stream direct from the ISS. You can switch between HD and SD camera quality within the app. 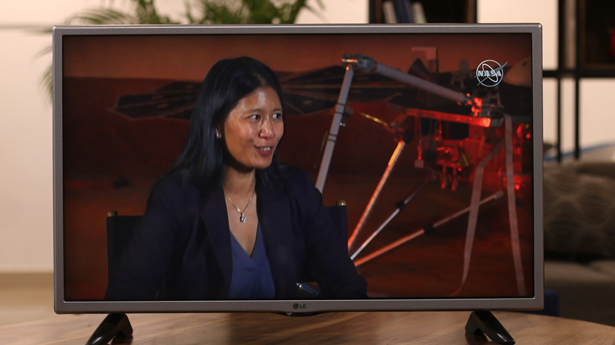 It also offers NASA TV and NASA TV Media and you can stream it to your TV. I like this app because I can set the feed to my Bedroom TV and keep doing other stuff on the smartphone. ISS HD Live is free on the Play Store and shows ads. This next app, Mono is a music discovery and playback app which lets you play music from multiple sources. 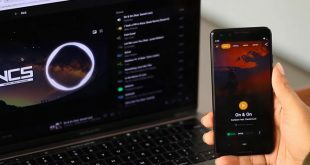 You can discover music from popular streaming services like Spotify, Last.FM, YouTube, Songkick Events, and Subsonic streams. You can create your playlists and save it on the app. The music is sourced from YouTube, Soundcloud, Subsonic and Fanburst. You can also set a priority source while playing music. Mono aims at offering seamless music streaming on your TV without any hiccups. Subsonic integration allows you to stream music files directly from your computer but you’d have to first install a server on the computer and integrate it here. Mono works great if you want an app focused on music streaming and it doesn’t have any ads which makes it even better. 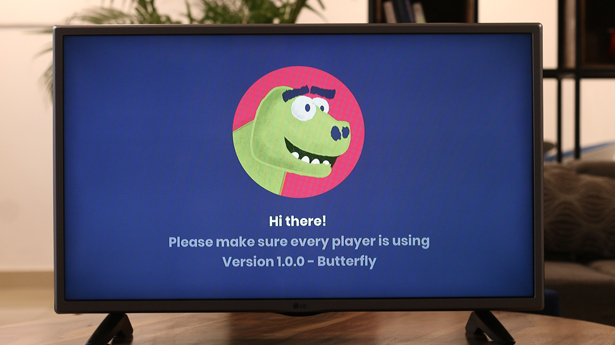 Dinoh is a fun family game based on Chromecast. You need to install it on every mobile device with whom you’re going to play with. Connect it to your Chromecast and start playing. Dinoh features five multiplayer games like Sketch Guessing, Tap Tap Car Race, Animal Quiz, Country Quiz, Complete That Word. These games may not be the best in terms of UI and layout but are fun to play with friends and family. Most games support up to 10 players at a time and the app is free on the Play Store. Give this a try if you’re bored at a family gathering. CardCast is a card-matching party game designed for Chromecast. The app has 4 popular decks, Best of Cardcast, A Mishmash of Madness, Apples to Apples Party Box, and Cards Against Humanity. You can choose one or all the decks to play the game with your friends. I prefer to mix all the decks together as it becomes more fun that way. Rules to this game are simple: A judge draws a call, Players submit responses that match the call. The judge picks a favorite response. Rinse and Repeat. Cardcast is free. 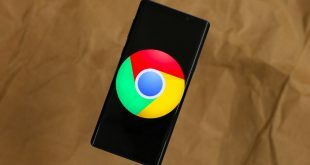 It is evident from this list that there are plenty of amazing apps for Chromecast but finding those apps isn’t easy. Apps for Chromecast is a marketplace for all the apps developed for Chromecast. You can sort by categories and install it on your phone. It opens the Play Store page for the app and you can install it from there. Most of the apps I found on this app worked fine but you do find a broken link every once in a while which is a little annoying. 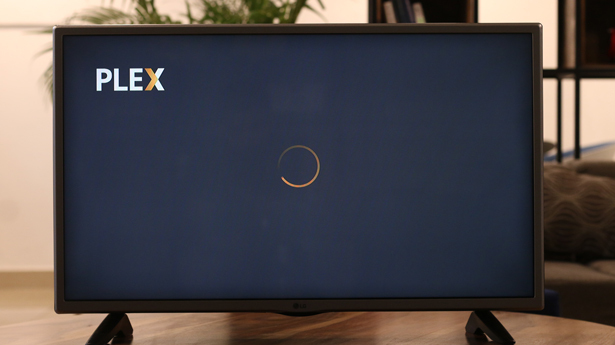 Plex is a powerful media streaming service which lets you play your content from any device running the Plex server. You can use Plex to stream content to your TV as well even if it is stored on your computer. You can simply access it on your smartphone and stream it to your Chromecast. The only downside with Plex is that you can stream only for one minute and images are watermarked. You can remove this restriction by spending $5 once. Videostream streams local content from your computer to your TV using Chromecast. It doesn’t require any setup. Just run the installer and select a file to stream. You can control the playback using the companion Android app. It works just like Plex but is completely free. You can add a computer and share folder to grant the android app access to cast media directly from the app. If you want to stream videos from your computer but don’t want to pay for Plex, Videostream works great. Just Dance Now is a Chromecast based interactive game. This game uses your phone as a motion sensor and casts the gameplay to the TV. You can join one of the several dance rooms to participate. The game is well built and there is almost no lag while playing. You can choose popular songs and dance to the beat and earn coins. Just Dance Now is free on the Play Store. Pocketcasts is a podcasts streaming app for Chromecast. You can search and subscribe to all of your favorite podcasts. The player allows you to trim silence and skip intros which saves a lot of time, you can adjust the speed from 0.5x to 3x. 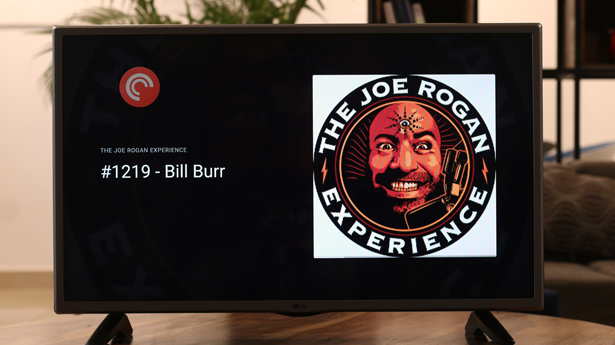 Using Pocketcasts to stream podcasts to the TV helps me sleep sometimes and I would recommend Pocketcasts if you want a decent podcast app for Chromecast. The app, however, is not free and costs $1.99 on the Play Store. These are some of the more Popular apps that also have a Chromecast feature. You probably already use them and even if you don’t, using those apps with Chromecast is one tap away. Facebook: You can cast live videos to Chromecast directly from the app. YouTube: You can cast videos to your TV from the app. Google Photos: Google Photos lets you cast images to the TV effortlessly. 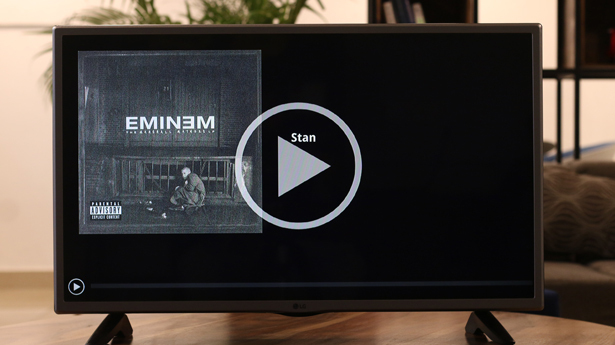 Google Play Music: Stream music to the TV with the app. Spotify: Play your favorite Spotify playlists on the TV. ES File Explorer: Stream local media to the TV with ES File Explorer. Pandora: Discover great music directly on your TV. NPR One: All your favorite radio stations, Podcasts, and playlist in one place. Netflix: Watch Netflix Originals on TV. ESPN: Watch all the exclusive Highlights and matches right on your TV. BBC iPlayer: Cast BBC content on your TV. 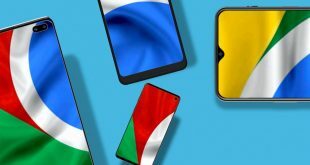 These were my picks for the best Chromecast apps and I tried to maintain a healthy variety of apps from every category. Some of my favorites include 2048 for obvious reasons, Clocks on Chromecast because it lets you display a working clock as a screensaver in the middle of TV, Dinoh to play with friends and family, and RSScast for reading news from the RSS feeds directly on the TV. Tell us which Chromecast apps to you use the most in the comments below.